If you haven’t then this is the perfect recipe to taste test. I admit I was one of those who turned my nose at quinoa. I don’t know what I was afraid of because it’s not at all what I expected. Quinoa tastes a bit nutty, like rice and couscous. It has a texture that’s quite light and fluffy. It’s delicious with sweet cranberries and juicy apples. But best of all, quinoa is loaded in protein and can serve as a meal in itself. I like to add it to a spinach salad with other ingredients to transform this dish into a power meal. 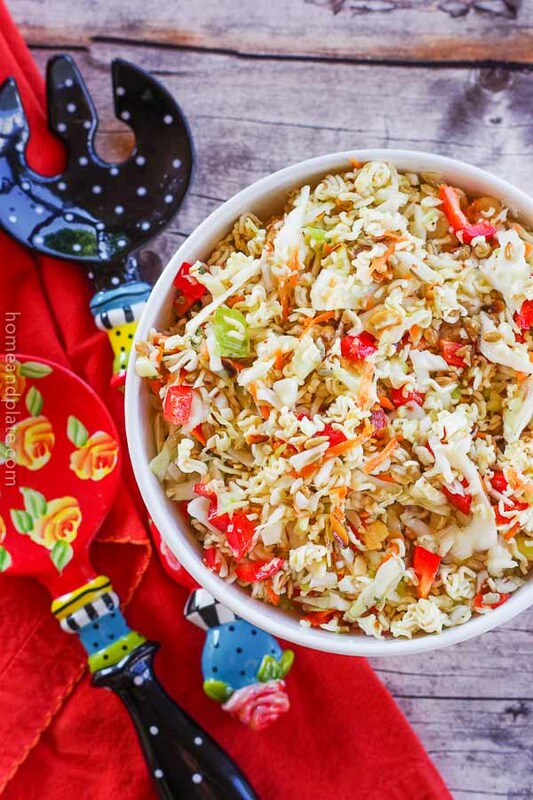 We’ve been trying to eat healthier and incorporate more heart healthy grains into our diets. I’ve been stuffing peppers with quinoa, adding it to my soups and now sprinkling it into salads. This season the local apples have been delicious. 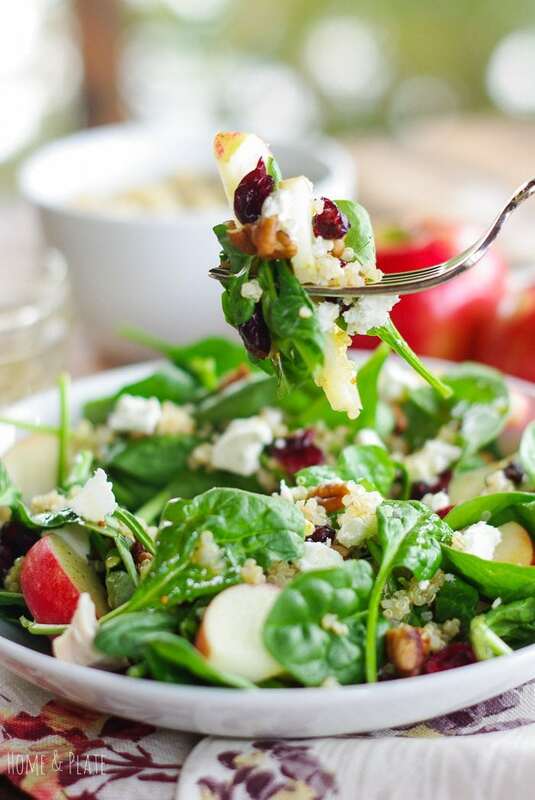 There’s nothing like the sweet taste of a Honeycrisp apple served in a spinach salad. I like to add apples to a salad because it allows me to cut back on the dressing. It’s a healthier choice that just tastes better. For this power salad I added cranberries, pecans and goat cheese. Raisins and almonds would be just as delicious. Homemade dressing allows me to cut back on the oil to keep the salad truly healthy. I used white balsamic vinegar to make this dressing but apple cider vinegar would work just as well. A little goes a long way. 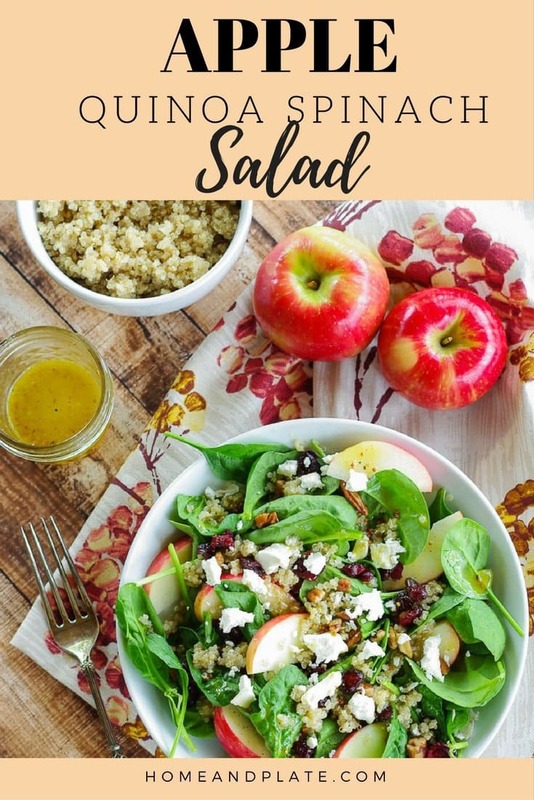 The salad is sweet enough with the apples and cranberries that just drizzle is all you need. 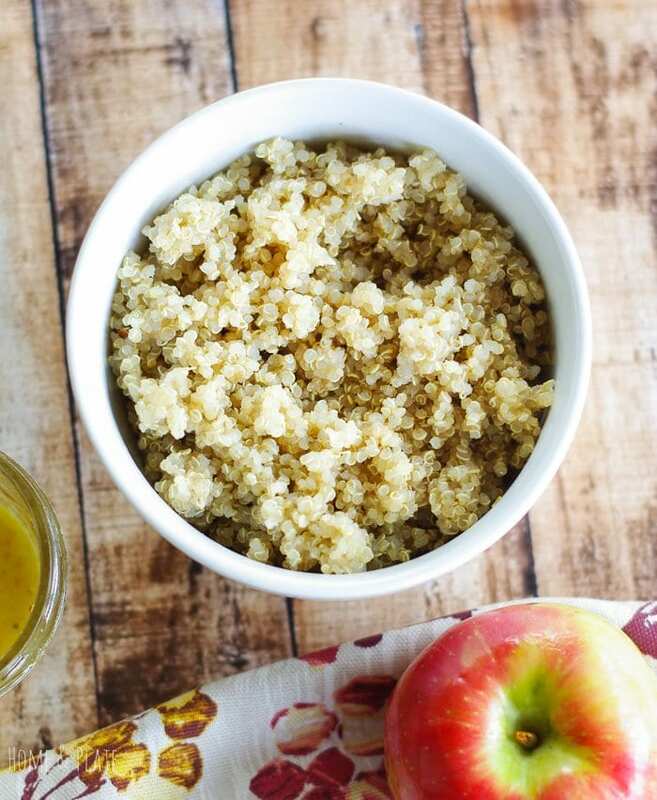 Have you tried quinoa yet? Let me know in the comments below your favorite way to eat this healthy green. Prepare the quinoa. Quinoa will increase four times its size when cooked. So to make one cup of cooked quinoa you’ll need to measure out 1/4 cup of dried quinoa to be cooked. You will use a 2 to 1 ratio. So you will use 1/2 cup water. Run cold water over the quinoa in a fine mesh strainer until the water runs clear. Add the quinoa and water to a sauce pan and bring it to a boil. Reduce the heat to a simmer and cover. Simmer for 15 minutes or until the water is absorbed. Fluff the quinoa with a fork and allow it to cool. While the quinoa is simmering, prepare the dressing. Whisk together the vinegar, oil, mustard, honey, salt and pepper. 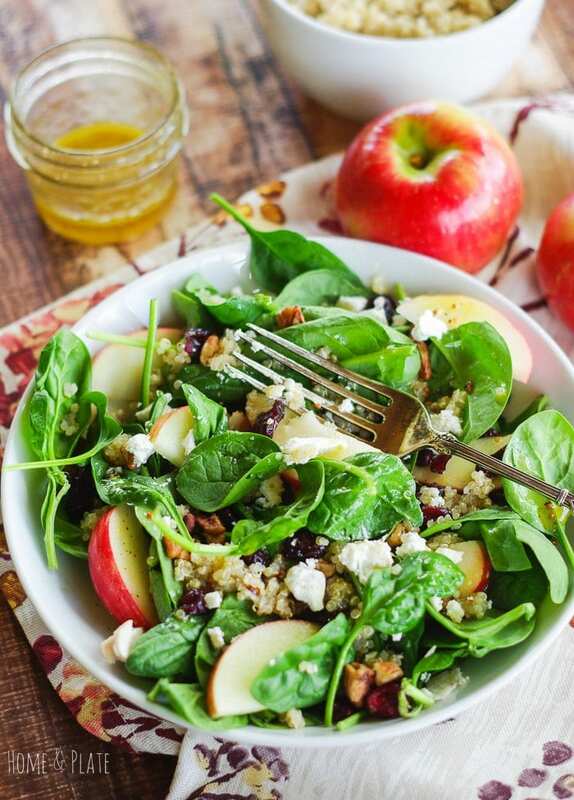 Assembled spinach in a bowl, top with the cooled quinoa, sliced apples, pecans, cranberries and goat cheese. Before serving drizzle with the salad dressing. I always like to make extra quinoa because it makes a delicious breakfast porridge when you want an easy and healthy breakfast. What a lovely salad. I really like quinoa and it must be so good with the dried cranberries and nuts for a bit of crunch. This is such a delicious combo of flavors! I love salads that have a lot of flavors and textures going on. I am a lot more likely to feel full! 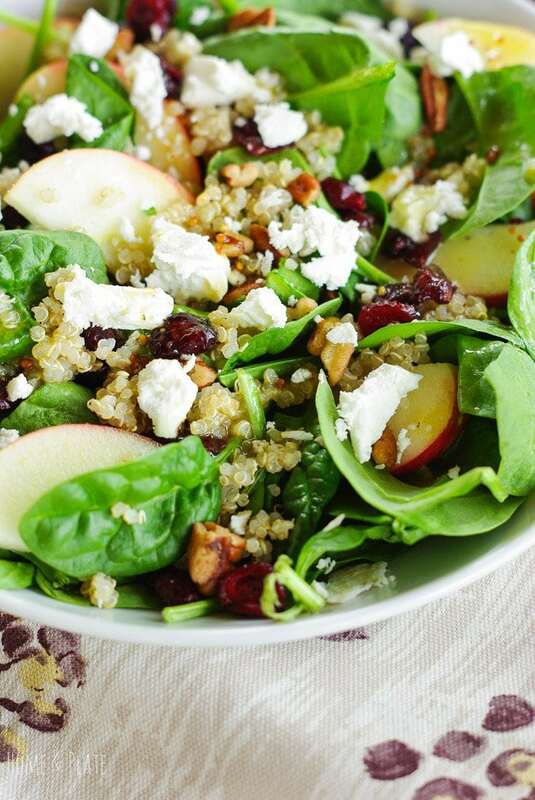 Quinoa sure adds the fiber and gives that full feeling when you add it to a salad. Thanks Lisa. I love quinoa rice. I usually have to get it from Panera. So glad I can make my own. It’s a great option when out on the road but easy enough to make at home too. Thanks Brandi. 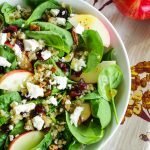 I can never get enough quinoa..I love it tossed into this salad. Looks so good! 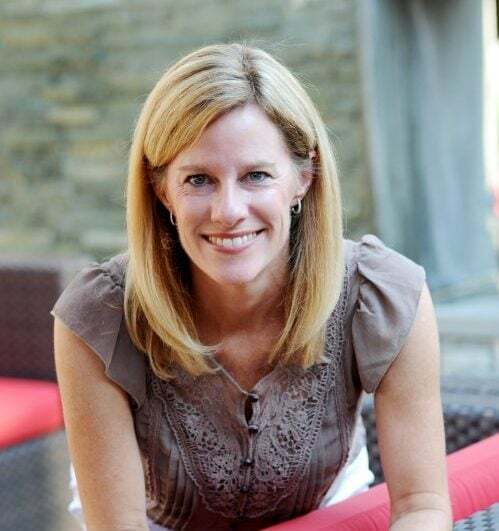 Thanks Catherine. 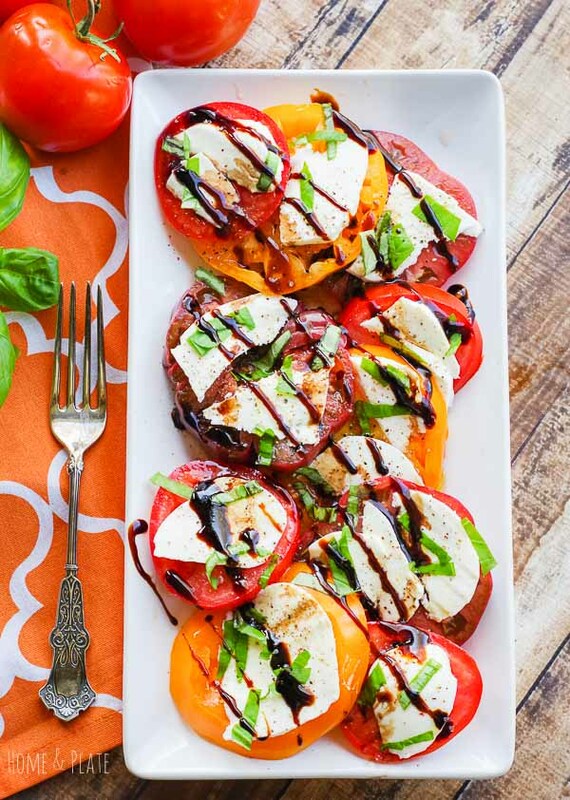 It’s so good in all different recipes especially this salad.